His favorite food is carrots and Printen (famous Aachen biscuits); his film hero is Black Beauty. 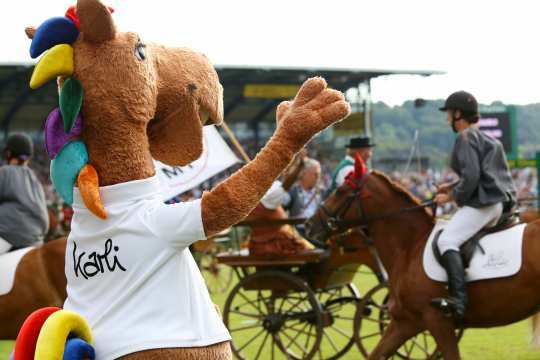 But yet the equestrian sport is his true passion. 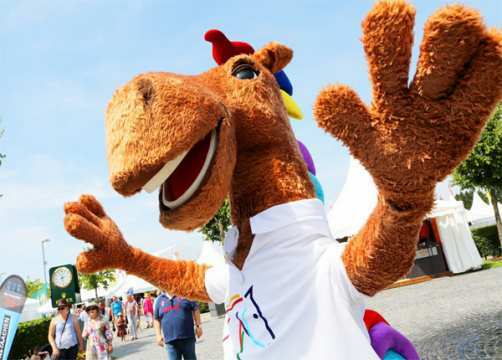 So for “Karli” – who is 2.30 meters tall and has clattering hooves – it is a special honour to be the mascot of the CHIO Aachen, and with that to be responsible for ensuring a good atmosphere. His colourful mane and tail make his happy appearance complete. 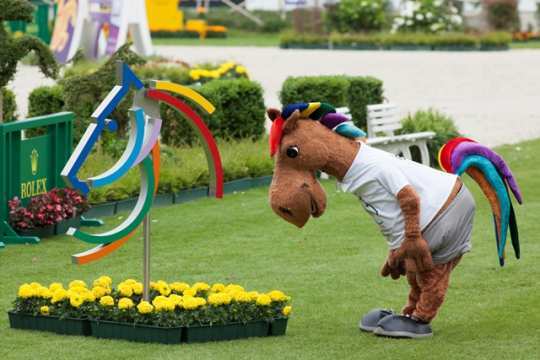 The cuddly horse’s name of course refers to the Emperor Charlemagne, and just like his famous namesake, Karli already belongs to Aachen, and one cannot imagine the city without him any more. 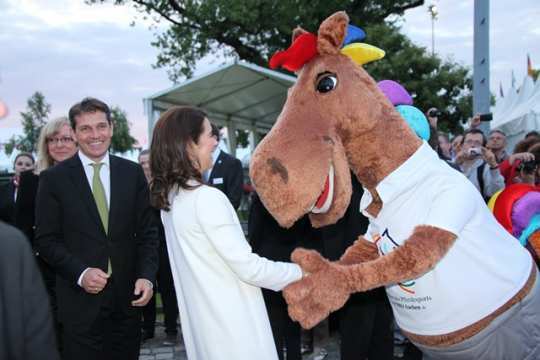 During the CHIO Aachen the visitors and locals have already become fond of jolly Karli. Those who want to have Karli with them all the time and not only during his official appearances and during the CHIO can order his small toy relatives. 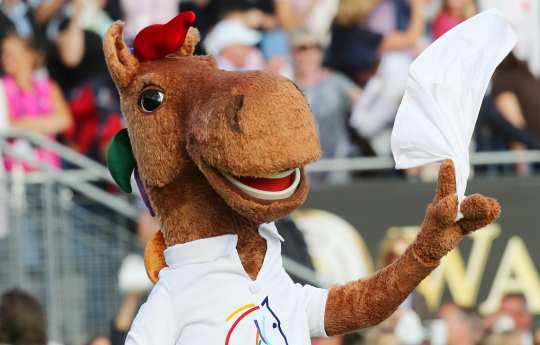 The cuddly horses are available in the Fan-Shop. 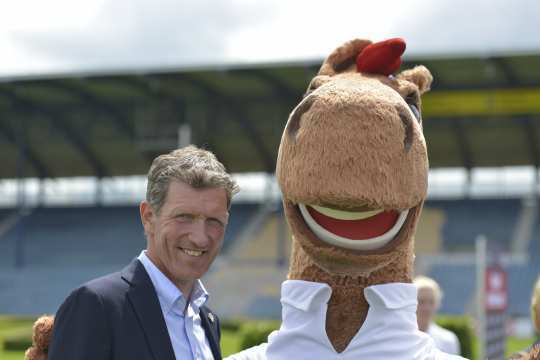 …the right place to go for all CHIO Aachen fans, whether big or small! Here you can buy the current CHIO Aachen collection and great souvenirs – a small piece of the CHIO Aachen to take home. 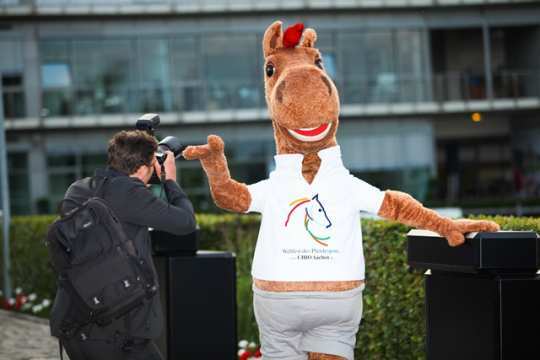 You can experience the CHIO Aachen from a new side with our app: We are not only offering you a service with this app, but also entertainment. 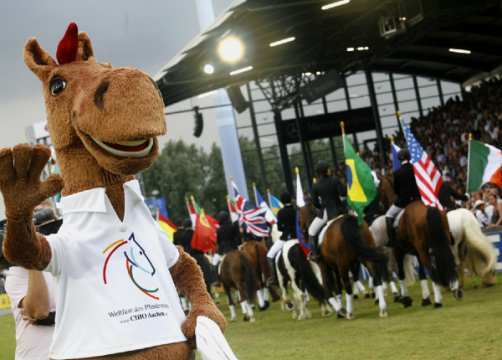 In addition to the most important news about the sport, it also provides you with exciting information about the CHIO Aachen. And the best thing is you can also get active yourself and judge some of the competitions in your capacity as a “digital judge”!